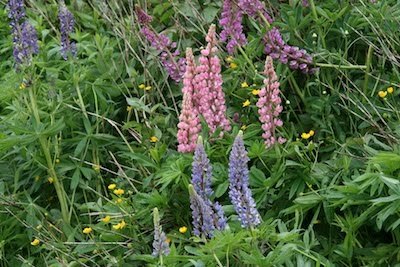 On our recent family trip to Percé, Quebec, we saw lupines all along the roadsides of Maine, New Brunswick, and the Gaspé Peninsula. 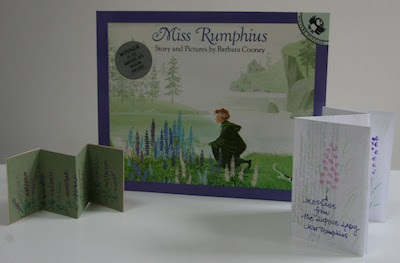 I thought of the wonderful picture book by Barbara Cooney, Miss Rumphius (so beautifully told and illustrated with a great message that grows out of the story and doesn't feel forced) and knew that I would make a little memento book on my return. I made two. For the first, I used green charcoal paper I still have from a bulk purchase when Hatfield's Art Supply in Boston closed many years ago, a cereal box, and wrapping paper from the collage box and drew the lupines with extra fine sharpie markers. 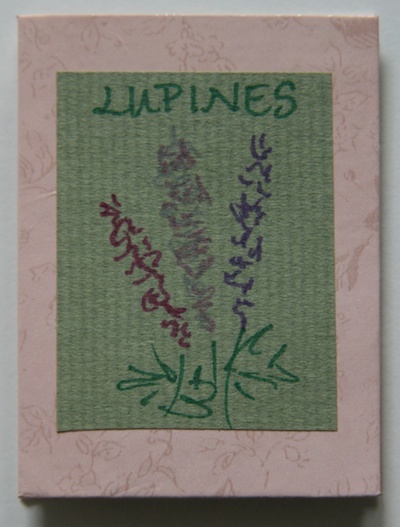 and made the lupine flowers by carving a pencil eraser with an olfa knife and coloring it with marker. The pencils were old and the carved eraser had a short shelf life, but enough to complete the book. 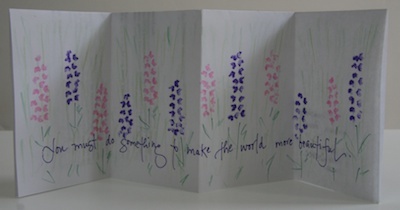 So nice...I love your books..I rencently bought your book, Handmade books for a healthy planet...Have a nice day! So pretty! 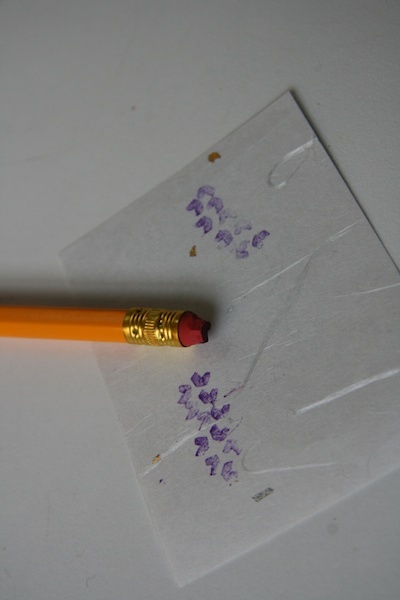 The first one looks like embroidery stitching. 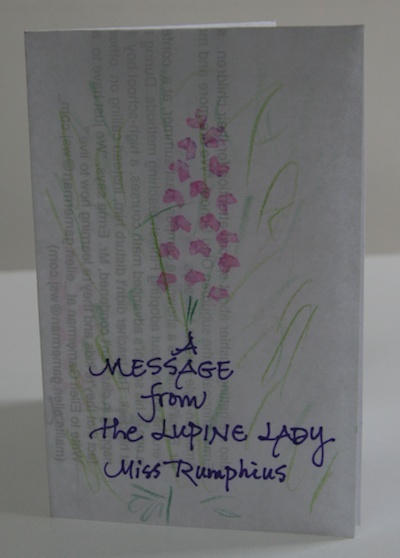 When our family went to the Maritimes a few years ago, I was amazed by the pretty wild lupines that I had found so difficult to grow in a garden. You have captured them so well in your little books. Now I want to find that story book to read!